Here's a quick and easy birthday card I recently made. 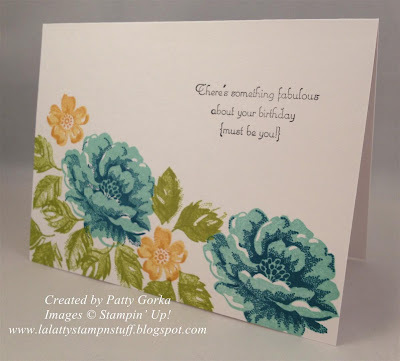 I love this Stipple Blossoms stamp set! Simply ink up the stamps and stamp away. It doesn't get any easier than that! 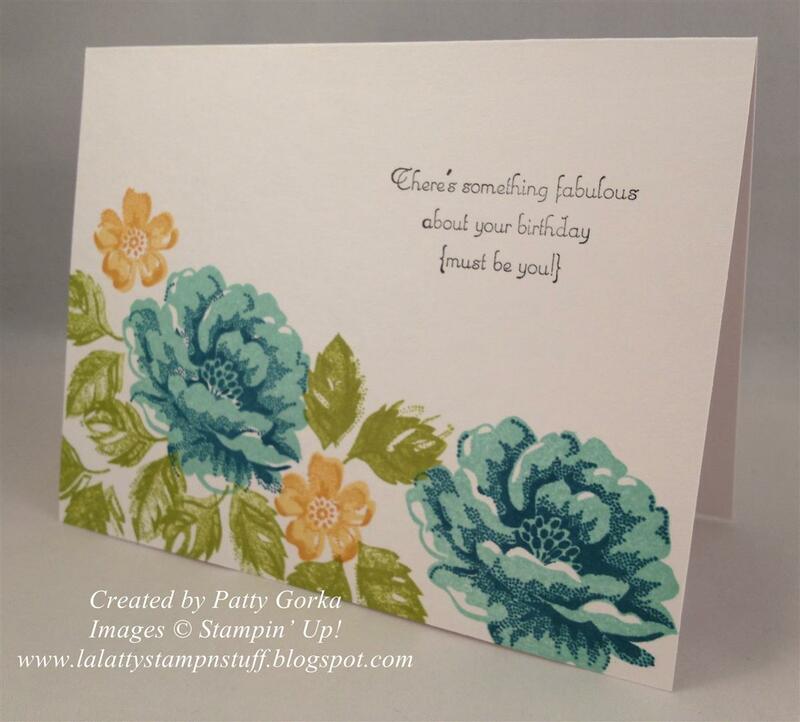 Do you have a card you created today? Feel free to enter it into our ABC Blog Challenge this week for an Anything Goes challenge! Thanks for stopping by! wow, this is a stunning cas card! gorgeous colors. Those blue colors together are great. You chose the perfect stamp for the those colors. Pretty! Beautiful! I love those colors and your design. So lovely! I love this card. The colors and flowers are so pretty. I specially love this color combination of flowers and bouquets..lovely!! !